Author Stephen King: Vote Out GOP Rep. Steve King, I'm Tired Of Being Confused With This Racist Dumbbell - Joe.My.God. 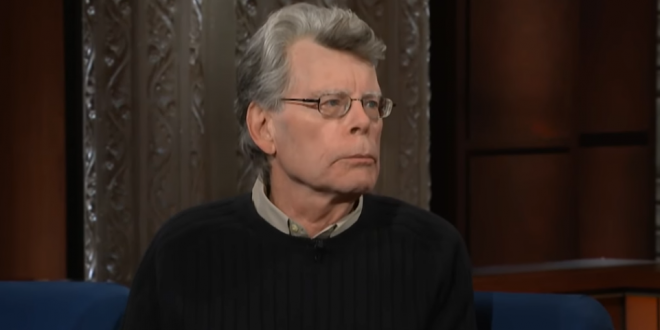 Stephen King is making a personal appeal to Iowans: Vote Steve King out so people won’t confuse the two of them anymore. The best-selling author tweeted Sunday morning about his exhaustion at being confused with Iowa’s controversial 4th District Republican congressman. A Des Moines Register/Mediacom Iowa Poll of the district shows that on a generic ballot a Republican candidate leads a Democratic candidate by 4 percentage points. With the exception of a 2012 race against former Iowa first lady Christie Vilsack, King has won each of his other races by at least 22 percentage points. Iowans, for personal reasons I hope you’ll vote Steve King out. I’m tired of being confused with this racist dumbbell.